Each candle measures 17/32' x 6 1/2'. Set of 12 replacement candles. For use with Tube Candles. 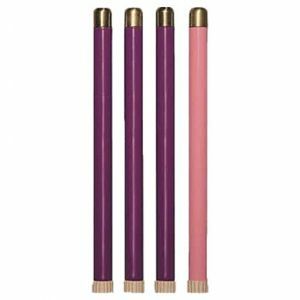 Interior Wax Candles for Tube Candles - Set of 12 for use with Tube Candles. Each Interior Wax Candles for Tube Candles - Set of 12 measures 17/32" x 6 1/2".